Seventeen years before Louis-Jacques-Mandé Daguerre (1759-1851) perfected the capture of images on a silver-coated copper plate (daguerreotypes), he created the Diorama with the help of the architectural painter Charles Marie Bouton (1781-1853). The barn-size building was elaborately constructed to present a life-size painting moving past spectators with constantly changing light effects that gave the illusion of changing times of days, or weather or seasons or other magically moving pictures. 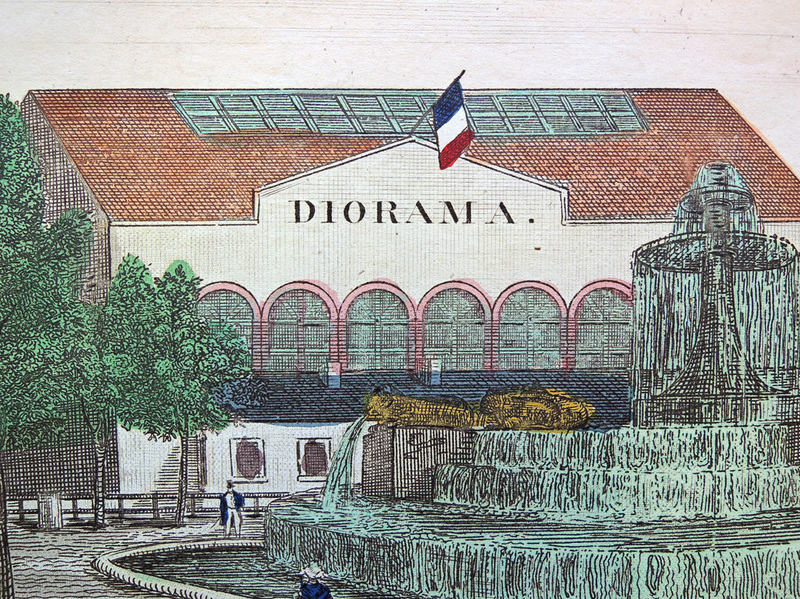 Daguerre’s Diorama opened in Paris during the summer of 1822 and was an immediate success. Within a year, a second auditorium opened in London. Each 30 minute show presented two paintings, usually one outdoor scene and one religion interior. This vue d’optique or optical view of the Diorama comes from the Metz studio of Adrien Dembour (1799-1887) and his successor Nicolas Gengel, where over 100 workers were employed. 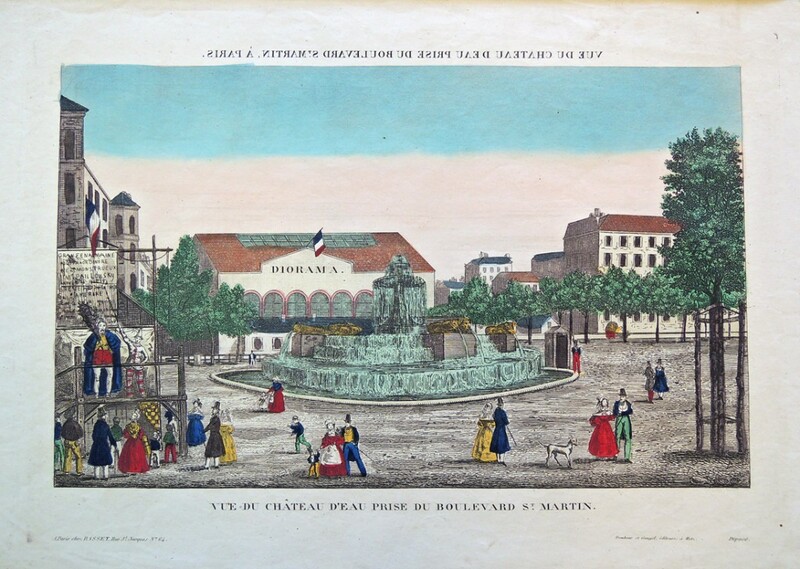 Like the studios nearby in Nancy and Epinal, the Metz shop produced colorful, popular prints of historic sites and urban landmarks. This print is meant to be view with a zograscope. We are calling this a wood engraving, but Dembour devised a relief etching process around 1834, which he called ecktypography. The relief copper plate was inked and printed the same as a woodblock. It is possible this is a metal relief print. More articles and images about Daguerre have been collected by R. Derek Wood. 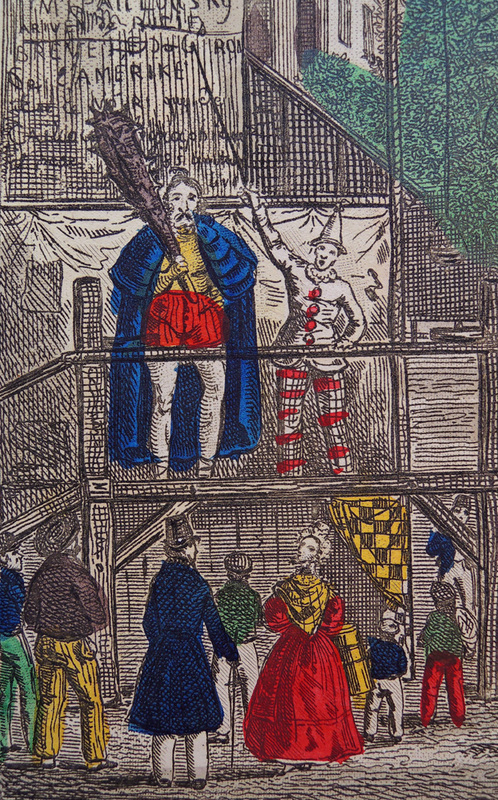 This entry was posted in Acquisitions, Pre-cinema optical devices, prints and drawings on February 22, 2015 by Julie Mellby.